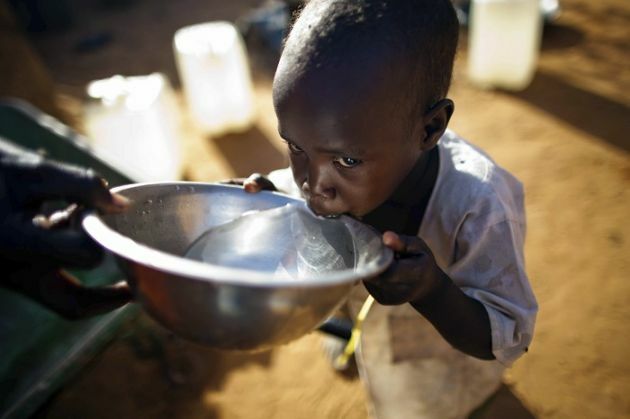 The poorest people often have to pay the most out of their earnings for water, a World Council of Churches official has told the United Nations Human Rights Commission in Geneva. "More often it is the poor who pay a higher percentage of their income to access water and sanitation than the rich," said Dinesh Suna, coordinator of the WCC's Ecumenical Water Network. He spoke about a recent visit to the West Bank in the Holy Land sponsored by his group, where he said communities are paying two-thirds of their income for water and sanitation, and many people do not have access to the public water distribution system. "Upon return from our visit, in a strongly worded statement, EWN called on churches and governments to work toward ending the 'water apartheid' in Palestine." Affordability of water and sanitation as a human right were deliberated at a side-event during the 30th Session of the Human Rights Council at the United Nations Office in Geneva, Switzerland from Sept 14 to Oct. 2. Sun was among people giving a faith-based perspectives on behalf of the WCC which represents more than 500 Christians from mainly Anglican, Orthodox and Protestant tradions. The event was organized by the Permanent Missions of Brazil, Germany and Spain, with participation from the UN Special Rapporteur on the human right to safe drinking water and sanitation, Prof. Léo Heller. The Special Rapporteur's first thematic report to the Human Rights Council was on affordability – one of the five normative contents of human right to safe drinking water and sanitation, along with availability, accessibility, acceptability and quality. Along with Suna, other panellists included representatives of the World Health Organization and Human Rights Watch, as civil society organizations responding to Heller's report. The public subsidies and cross subsides proposed by Heller in his report can be effectively implemented, Suna said. He cited the experience of India. "The current government of New Delhi has declared water to be distributed free of cost up to 20,000 liters per household, per month. Anyone who consumes above this limit has to pay the full amount of the bill at a 10 percent hike. Suna emphasized that religious communities can and do contribute significantly to realizing the human right to water and sanitation. Religious leaders must be supported in that work, he urged, since they can influence large constituencies. Suna said that water has a "strong spiritual significance" in almost all religions. "Therefore, it is not difficult to talk about water to people of faith. Laudato Si' – the recent encyclical of Pope Francis on 'Care for our Common Home'—is a case in point," he said. "The Pope not only talks about climate change but affirms human rights to water and sanitation."